Fresh flowers are vital in setting the tone and theme of your wedding. There is something very magical about fresh flowers. From their vibrant colors, sweet smells, to their lively arrangements, they are a true delight for the senses. Silk flowers just cannot match it. Additionally, contrary to popular belief....good quality silks can cost you 3x as much as their real counterparts! A skilled florist is in charge of breathing life to your reception, and into your bridal party. Choosing the right one should not be taken lightly. "Florists deal with a perishable product. There are always time constraints. color issues, weather, physics, storage, sourcing, and many other factors." says Natalie Elsberry with I Bloom. 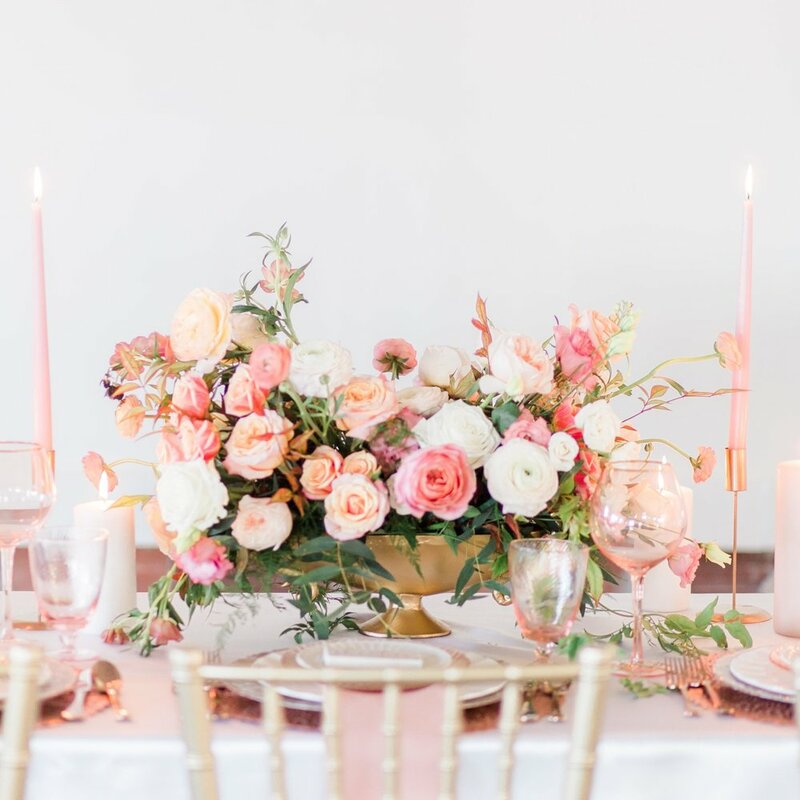 They LOVE flowers and have the knowledge of what to use to be within budget, the tools to assemble sturdy and secure arrangements, and the creativity to fill in the gaps of your vision.